What’s better than a chilled mojito on a hot summer day? 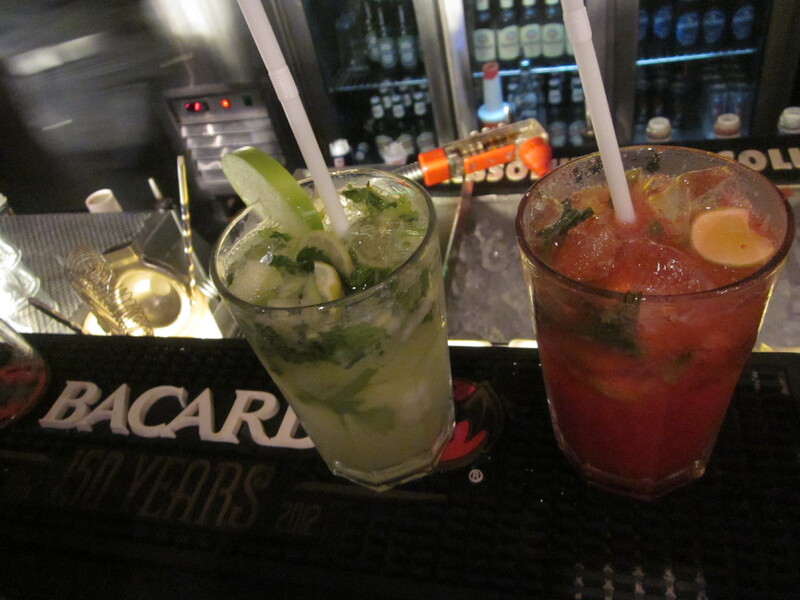 The very popular Hard Rock Cafe, in Delhi, is currently running a mojito festival called Mojito Mania. 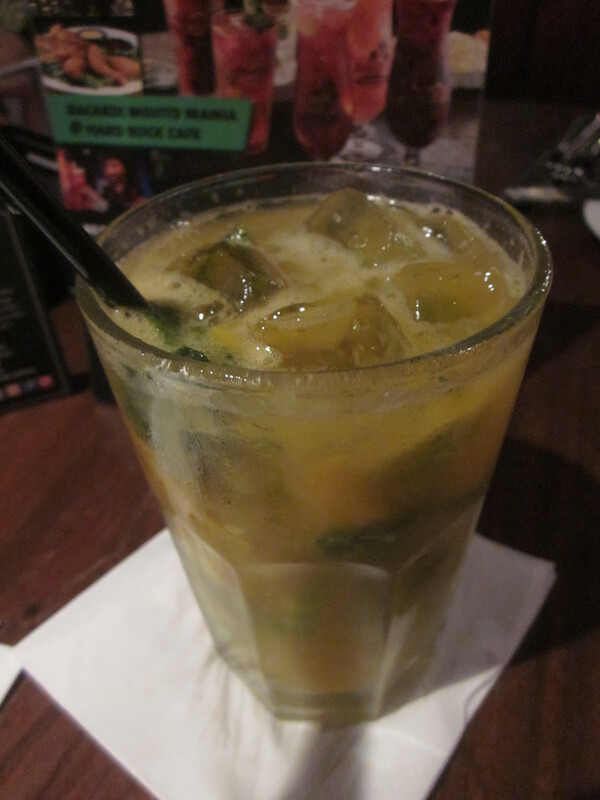 All the mojitos are made with Bacardi and are available in many, many fresh, fruity flavours like Watermelon, Mango, Grape, Green apple, Strawberry, and Kiwi to name a few. 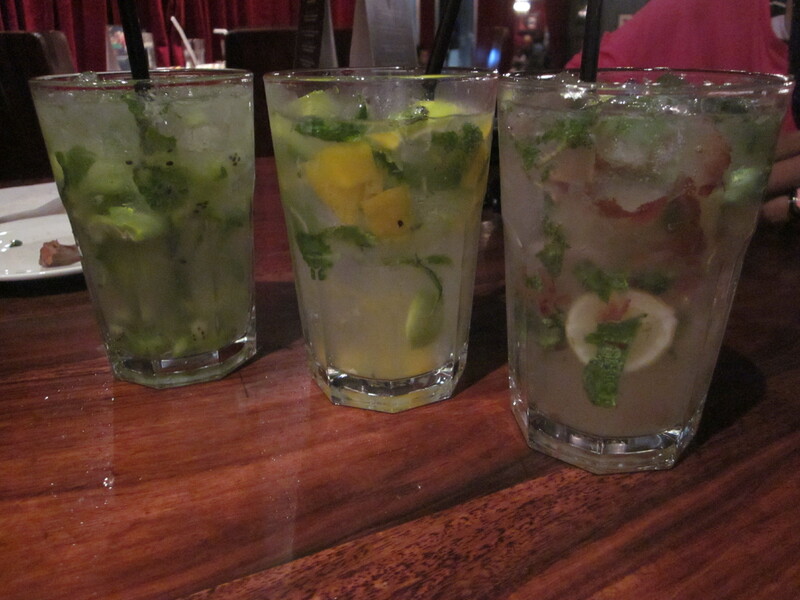 The drinks have a generous portion of muddled lime and mint in them. Such summery flavour boosters! 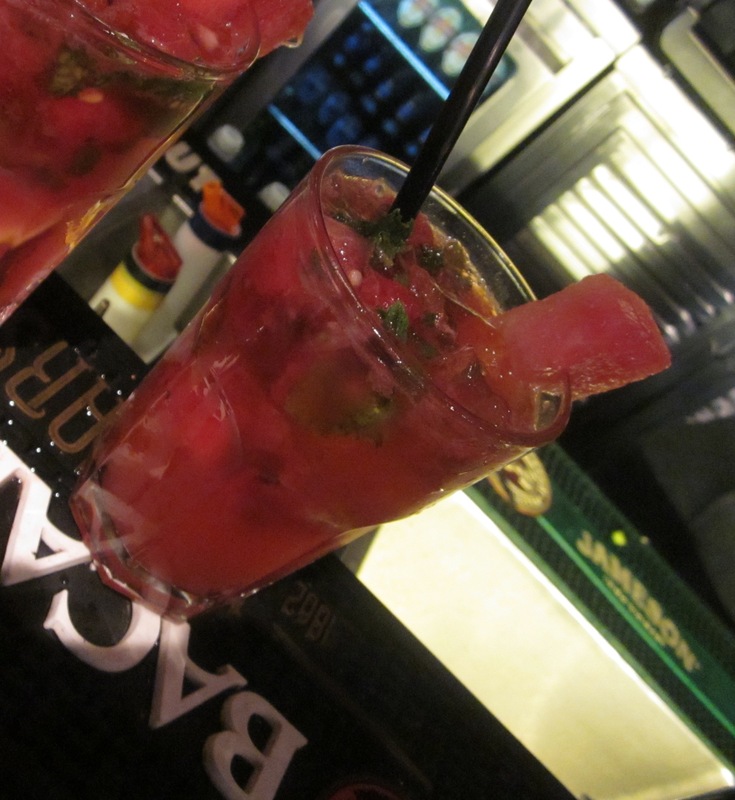 I particularly loved the watermelon one – it had chunks of the juicy fruit in it and wasn’t too sweet. Strawberry was another popular one at our table, although I found it a little too sweet. The mango one was super – yellow in colour and very refreshing with the occasional bite of slightly-sweet, slightly-tart mango. The ones to steer clear of in my opinion are: kiwi, grape, and bell pepper. None of them had any discernible flavour. 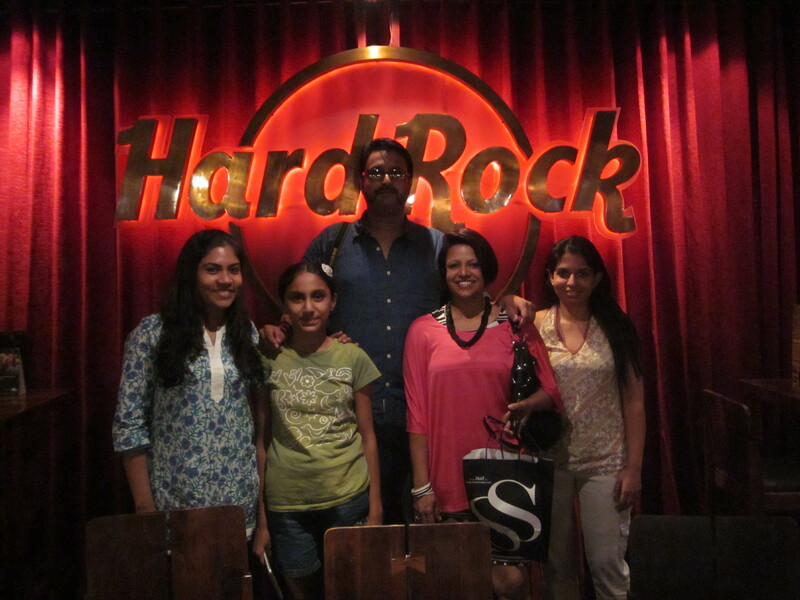 On only for a few more days, stop by the Hard Rock Cafe, Delhi for perfect summer pick-me-up drink!